Siri for Android is Vlingo : Voice-Powered Virtual Assistant Quick Demo Video! While the whole internet is currently abuzz with the supposedly 'innovative' Siri for iPhone 4S, few seem to realize that a similar service has long been available for the Android platform. Vlingo running on my HTC Desire Z aka HTC Vision. 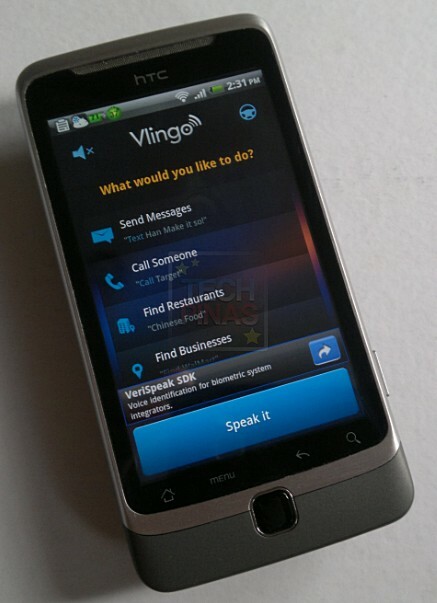 Vlingo is a voice-powered virtual assistant (exactly like Siri), which lets users get things done quickly and easily. Vlingo allows you to send text messages, make calls, update Facebook and Twitter, check-in via Foursquare, get answers and directions and find businesses simply by talking to it! NOTE: Of course, the key to getting good results from Vlingo is to speak clearly when you're talking to it. If you're on Android, why don't you download and try out the app and let me know what you think about it?